All swimmers 9 and over can enter swim galas. The Notice board to the right of the door entering poolside contains the calendar and promoters conditions. Entry is via Swim Club Manager, eligible swimmers will receive an email showing the events they qualify for prior to the closing date. 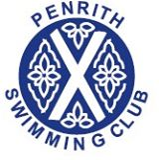 If your swimmer is 9 and over and wishes to compete and you would like to discuss which galas and races are suitable, please speak to your child’s coach. Please feel free to contact the gala secretary or go to How to Enter a Gala.pdf for further information. As swimming is a judged event there may be occasions when a swimmer is disqualified. The reasons for disqualification can be found on page two of the disqualification report form.